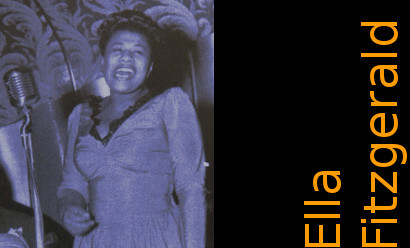 Ella Fitzgerald CDs @ Hep Records, jazz in depth from the 1930's to the present day. 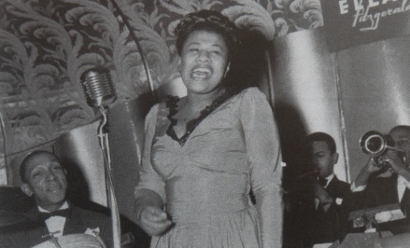 Ella Fitzgerald with Taft Jordan and Beverley Peer at the Savoy Ballroom, Harlem, late 1939. 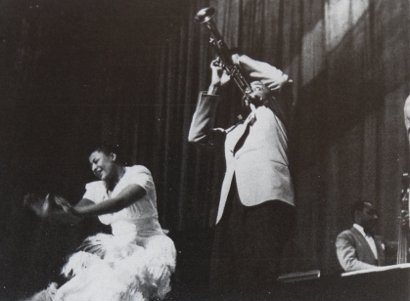 L-R: Bill Beason on drums, Ella Fitzgerald, vocalist, leader. At the Savoy Ballroom, Harlem, late 1939 or early 1940. Ella Fitzgerald - "Sugar Foot Stomp"